Intimate water front cabin on Hood Canal just south of Hoodsport. This 2 bedroom 1 bath cabin (Sleeps 4) has electric heat and a propane stove in living room that provides a cozy place to enjoy a breathtaking view of the canal. The spacious front deck, which extends over the water, offers a perfect place for a swim or a relaxing place to do some fishing or crabbing. The private beach provides various adventures or a time of quiet reflection. Enjoy a free wine tasting at the Hoodsport Winery and receive a $20 coupon to use towards the purchase of a bottle of Hoodsport Wine from the Winery. We ask for a $500 deposit up front. 30 days before your reservation we ask for the rent, $250 cleaning fee, & room tax. If you are interested in booking this unit, let us know, and we will email you the rental agreement. Summer rates (May 24th - Sep 1st) $1,500/week or $250/night. Winter Rates (Sep 2nd - May 23rd) $1,000/week or $200/night. 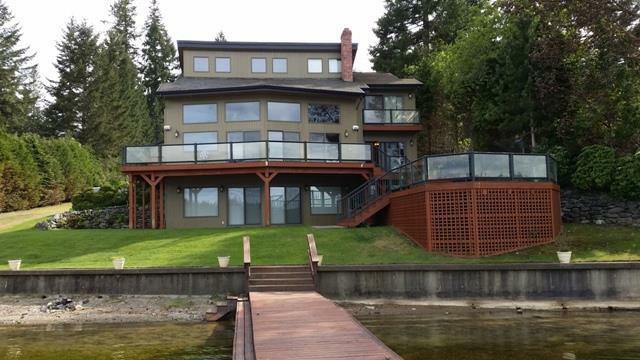 Beautiful 3 story vacation get away home on Mason Lake! 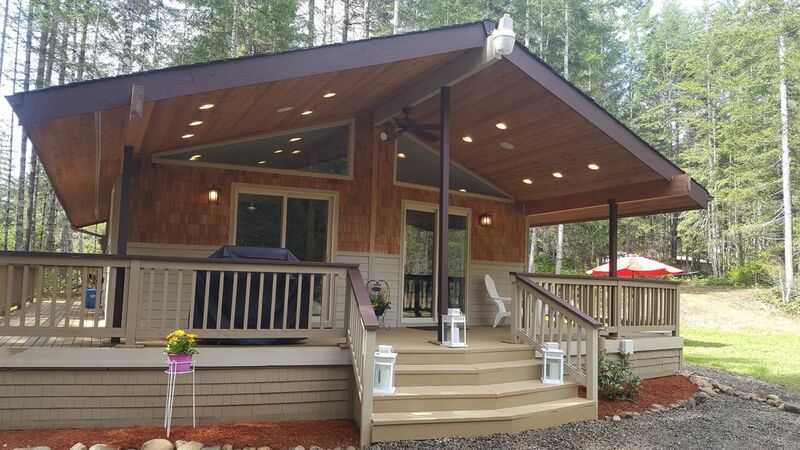 This home is the perfect place for a family vacation with all the comforts of home, along with all of the opportunities of Mason lake. Boating, swimming, fishing, and kayaking are all easily done right from the dock that extends out over the crisp lake water! Extensive deck provides ample room for outdoor entertaining along with an expansive view of the Olympic Mountains and breath taking beauty of Mason Lake. The daylight basement offers plenty of room for relaxing in the family room, and the double sliding glass doors make getting to the lake quick and easy. The downstairs also features a bathroom, family room with comfortable seating for several, a queen size hide a bed, a big screen TV, pool table, and an extra room for your use with a King size bed. The main floor offers a wall of windows, vaulted ceilings in the living room, with an exquisite rock fireplace from floor to ceiling. Comfortable seating in the living room for several, where memories and laughter can be shared. Dining room and kitchen offer breakfast bar with ample room for cooking and sharing meals. Sliding glass doors from the living room and kitchen provide easy access to the extensive decks facing the lake. Upstairs features 2 bedrooms and a full bath. Two King size beds and a set of bunk beds on the top floor, along with a futon tucked away in a kid sized play room, perfect for the kids! The comfortable and inviting decor will make any vacation a pleasure. Summer rates (May 24th - Sep 1st) $3,000/week or $500/night. Winter Rates (Sep 2nd - May 23rd) $3,000/month, $1,500/week or $300/night. 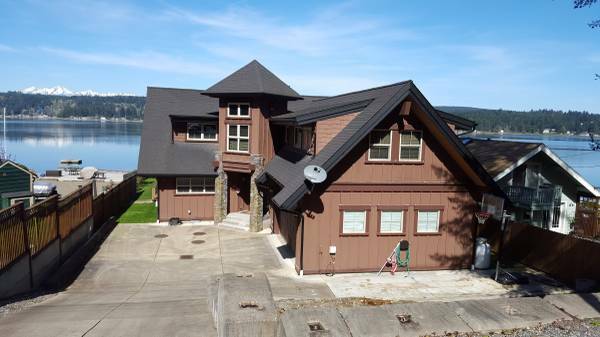 Come and enjoy the comfort and luxury of this beautiful waterfront home on the picturesque Hood Canal! With all the comforts of home, plus several added amenities, this water front oasis promises to be an excellent host for the perfect get away – whether it be for a few days, or longer! This 3 bedroom 3 bath home offers one bedroom and one bath on the entry level, and 2 additional bedrooms and bathrooms on the upper floor. The game/entertainment room and library are also located on the upper floor with expansive decks on both with incredible views of the water. Summer rates (May 24th - Sep 3rd) $2,300/week or $400/night. Winter Rates (Sep 4th - May 23rd) $1,500/week or $350/night 3 night minimum stay. There is no better way to a day of swimming, kayaking, fishing or just hanging out than soaking in the sunset while relaxing on the front deck of this charming, lake front cabin. lake of swimming or fishing and the gravel beach is ideal for wading or launching kayaks. Summer rates (May 24th - Sep 1st) $1,200/week or $250/night. Winter Rates (Sep 2nd - May 23rd) $1,000/week or $199/night. Just 1.5 hours from Seattle and built in 2008, our 3000 sq ft lodge style retreat is situated just 15 feet from our hood Canal Bulkhead where waters lap at high tide on a beach with oysters and clams. Built with the finest materials and comfortable decor, you will find instant relaxation when you step in the door, making this the perfect getaway or extended vacation! As you enter the main hickory-planked floor you will find soaring vaulted ceilings with douglas fir timber frame accents and a two story stone fireplace. But, the window will catch your attention as you gaze at the expansive water and mountain views. The combined kitchen, great room, and dining room are the perfect place to relax. On the 300 sf covered ironwood deck, you can have that morning coffee and watch the blue heron, bald eagles and seals fishing for breakfast. 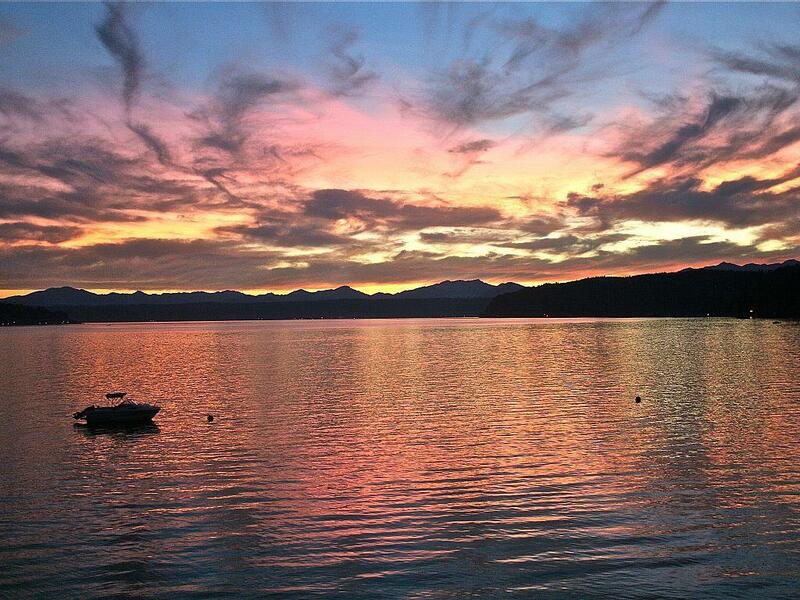 Or, in the afternoon, just sit with your favorite glass of wine, and enjoy another beautiful Hood Canal Sunset. Summer rates (May 24th - Sep 1st) $1,750/week or $300/night. Winter Rates (Sep 2nd - May 23rd) $1,750/week or $300/night. 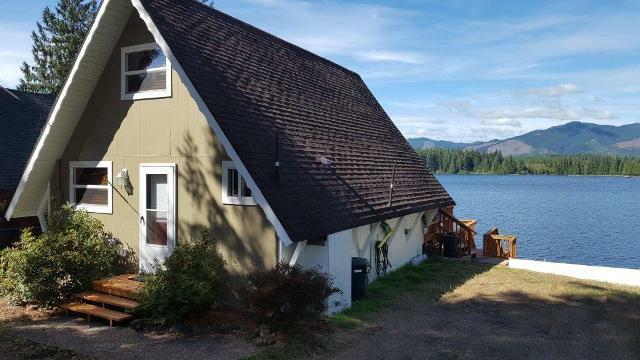 This beautiful home is nestled in the Lake Cushman community where there are plenty of activities to enjoy! Whether it is the outdoors that you crave, or just luxuriating in the quiet of this completely updated home, you are sure to find what you want in a vacation! Golfing is close, as well as Lake Cushman where you will enjoy the pristine waters of the lake as well as the beauty of the majestic view of the Olympic Mountain Range. Hiking, swimming, fishing and boating are all available within moments, as well as local wineries and gift shops in the town of Hoodsport just down the hill. Enjoy the beauty of the Northwest and all it has to offer just moments away! This home has 2 private bedrooms and a sofa bed in the living room and will sleep 6 comfortably. The owners have tried to think of everything that you might want or need in a vacation rental! There is a full size BBQ for your use, as well as a full kitchen stocked with all you need for a comfortable stay. A stack-able washer and dryer are there for your use as well. An outdoor fire pit surrounded with chairs, a picnic table and umbrella will complete your evening as you relax around the fire in the fresh air of the Northwest! Summer rates (May 24th - Sep 1st) $1,150/week or $200/night 3 night minimum. Winter Rates (Sep 2nd - May 23rd) $1,000/week or $175/night. This 5 bedroom 2.5 bath 2100 sq ft retreat is a true slice of paradise with huge picture windows overlooking the water from the living room, dining room and kitchen! 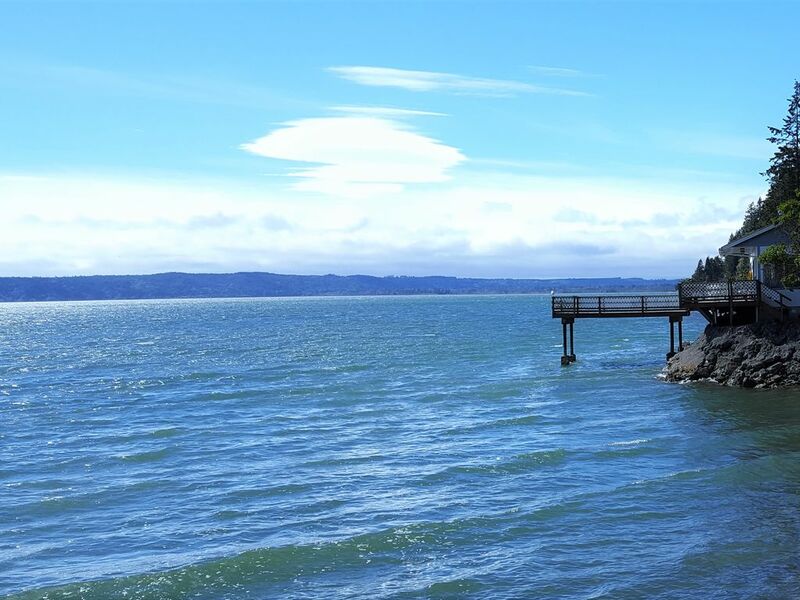 Relax on the large, benched deck overlooking the Puget Sound, explore the sound on the kayaks or paddle boat provided, or take a walk on the beach. There are several bald eagles that live in the trees nearby, and you will often see them soaring above the water in search of their next meal. Seals are also a frequent sight just in front of the home in search of fish. Canadian Honkers can be heard as well, announcing their presence. We are fortunate to experience both high and low tides, which provides for exploring the best of both worlds! Low tide provides the opportunity to explore the incredible sea life up close and personal. Star fish, sand dollars, crab and more. You can just scratch the surface of the sand and find buckets of clams and oysters on our very fertile seabed. License is required. High tide allows for easy launching of the kayaks or paddle boat and you are off to explore! We have provided life jackets for guest use, please use them when out on the water.